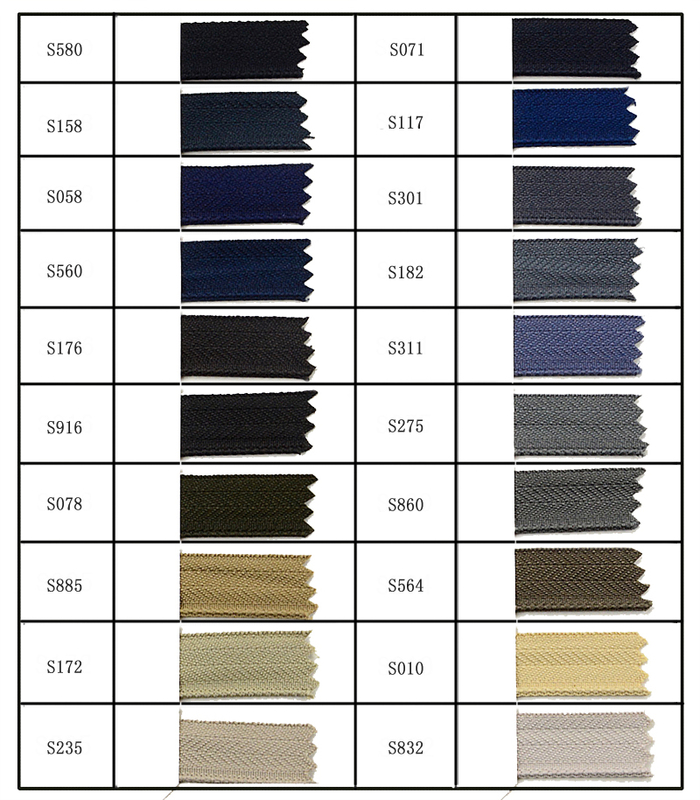 The item is characterized by high strength, with anti-friction, anti-washing, anti high-temperature ironing properties and environmental friendliness. It is especially used for the jeans,pants and jackets. 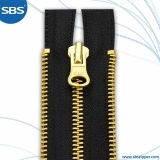 SBS provides many kinds of metal zippers in different materials, such as brass, copper,etc. The mainstream colors in the market are also available, for example, champaign gold. We have established a well-run inventory control system in accordance with the demand for various colored tapes. - Chemical reactions will take place easily between the surface of the copper alloy and the chemical residues in the fabric that are introduced in the dyeing and finishing process. Take the sulfur black fabrics for example. 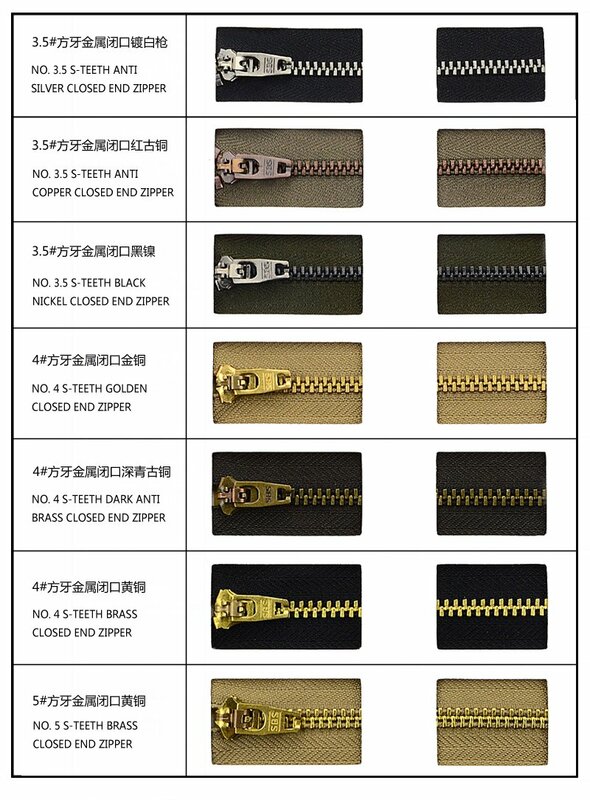 Oxidation and color change will take place easily on the zipper surface, following the washing process applied to the trousers if the fabric is not fully cleaned before the installation of the zipper. - In this case, the zipper should be wrapped with a piece of cloth, followed by the sample test carried out in the simulated washing environment. If any color change takes place on the zipper surface or if any unexpected mark is left in the place where the fabric and teeth meet, cleaning and drying should be applied to the fabric prior to tailoring. If there is any doubt about the color washing, a simulated washing test should be carried out prior to the bulk production. - Reactions will take place easily between the cooper alloy of the zipper and the external chemicals during the chemical reprocessing process applied to the fabric and the zipper that has been installed, such as fade-dyeing, dyeing, bleaching, etc. 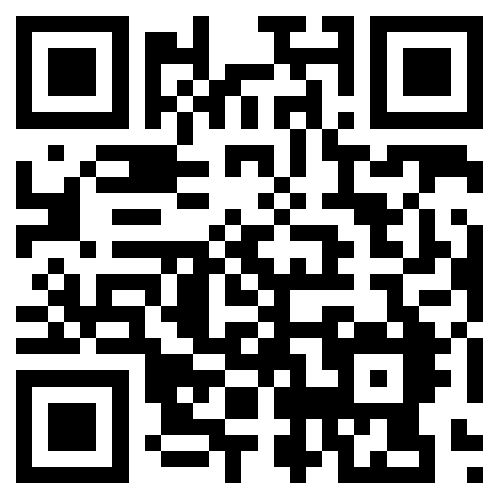 A sample test should be carried out if any special washing process is involved in the post-treatment of the clothing. If any unexpected changes occur, please wrap the zipper surface to protect the metal part prior to washing. - The industrial washing process often involves a great many items simultaneously, which will result in relatively great torque. The zipper should be closed completely before washing in case of the excessive external force that is applied to the slider and teeth, which can cause the teeth to drop off. - The zippers should be dried prior to packaging in case the water vapor that remains after ironing is introduced into the packaging bags. - A piece of paper or cloth should be laid between the zipper and the fabric prior to ironing to prevent the wax on the zipper surface from transferring to the fabric. - Avoid storage in the high-temperature and damp environment. - Avoid packaging in plastic and vinyl bags. 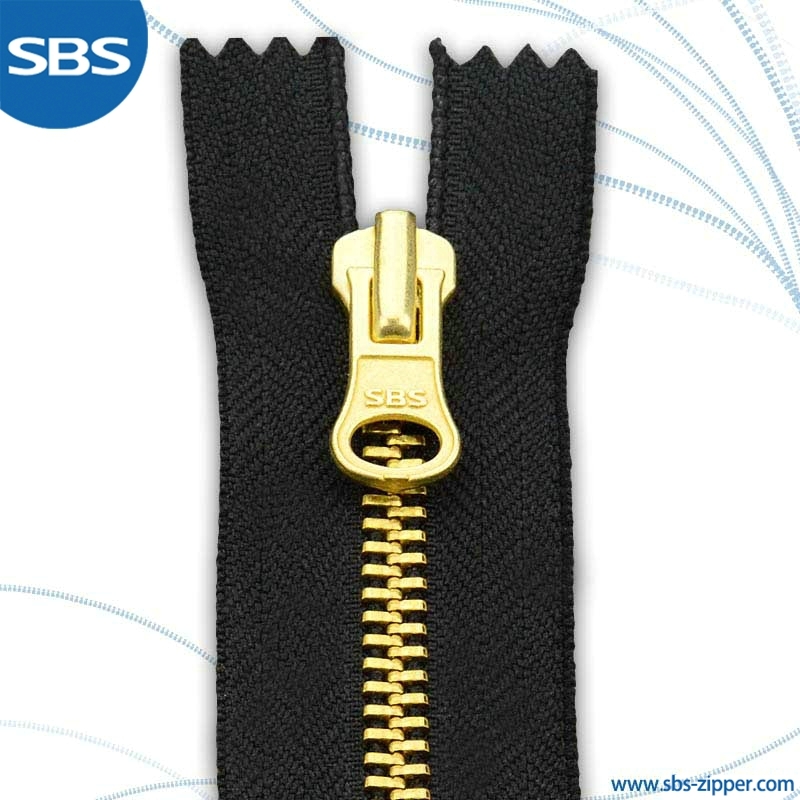 Learn more about SBS metal zippers in this post.